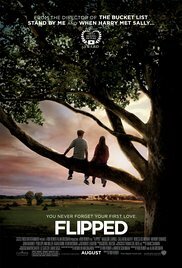 Story Synopsis from IMDB: Juli Baker devoutly believes in three things: the sanctity of trees (especially her beloved sycamore), the wholesomeness of the eggs she collects from her backyard flock of chickens, and that someday she will kiss Bryce Loski. Ever since she saw Bryce’s baby blues back in second grade, Juli has been smitten. Unfortunately, Bryce has never felt the same. Frankly, he thinks Juli Baker is a little weird–after all, what kind of freak raises chickens and sits in trees for fun? Then, in eighth grade, everything changes. Bryce begins to see that Juli’s unusual interests and pride in her family are, well, kind of cool. And Juli starts to think that maybe Bryce’s brilliant blue eyes are as empty as the rest of Bryce seems to be. After all, what kind of jerk doesn’t care about other people’s feelings about chickens and trees? 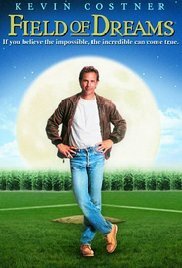 Story Synopsis from IMDB: Iowa farmer Ray Kinsella hears a voice in his corn field tell him, “If you build it, he will come.” He interprets this message as an instruction to build a baseball field on his farm, upon which appear the ghosts of Shoeless Joe Jackson and the other seven Chicago White Sox players banned from the game for throwing the 1919 World Series. When the voices continue, Ray seeks out a reclusive author to help him understand the meaning of the messages and the purpose for his field. 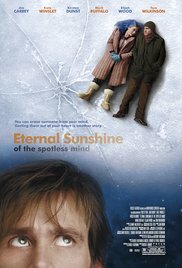 Story Synopsis from IMDB: Joel is stunned to discover that his girlfriend Clementine has had her memories of their tumultuous relationship erased. Out of desperation, he contracts the inventor of the process, Dr. Howard Mierzwaik, to have Clementine removed from his own memory. But as Joel’s memories progressively disappear, he begins to rediscover their earlier passion. From deep within the recesses of his brain, Joel attempts to escape the procedure. As Dr. Mierzwiak and his crew chase him through the maze of his memories, it’s clear that Joel just can’t get her out of his head. Story Synopsis from IMDB: Cal Weaver (Steve Carell) gets the surprise of his life when he learns that his wife Emily (Julianne Moore) cheated on him with a coworker, David Lindhagen (Kevin Bacon), and wants a divorce. 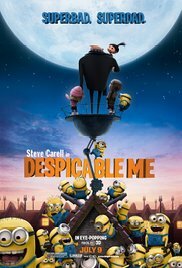 After moving into his own apartment, Cal begins frequenting a bar night after night, talking loudly about his divorce, until he attracts the attention of a young man named Jacob Palmer (Ryan Gosling), a womanizer who successfully beds women each night, although a young woman named Hannah (Emma Stone) recently rejected his advances. Taking pity on Cal, Jacob agrees to teach him how to pick up women. Jacob takes Cal shopping, outfitting him with an entirely new wardrobe and begins teaching him the art of seduction. 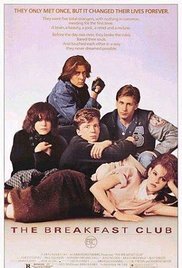 Story Synopsis from IMDB: Beyond being in the same class at Shermer High School in Shermer, Illinois, Claire Standish, Andrew Clark, John Bender, Brian Johnson and Allison Reynolds have little in common, and with the exception of Claire and Andrew, do not associate with each other in school. In the simplest and in their own terms, Claire is a princess, Andrew an athlete, John a criminal, Brian a brain, and Allison a basket case. But one other thing they do have in common is a nine hour detention in the school library together on Saturday, March 24, 1984, under the direction of Mr. Vernon, supervising from his office across the hall. Each is required to write a minimum one thousand word essay during that time about who they think they are. At the beginning of those nine hours, each, if they were indeed planning on writing that essay, would probably write something close to what the world sees of them, and what they have been brainwashed into believing of themselves. 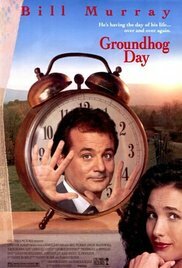 Story Synopsis from IMDB: A clairvoyant thinks she’s met her husband to be because she’s seen him in her dreams. They marry quickly, and return to the husband’s (“the butcher”), home in the city. She has a big impact on everyone she meets by anticipating their questions and actions and advising them on their love life. Her interference then brings her into contact with the real man of her dreams.